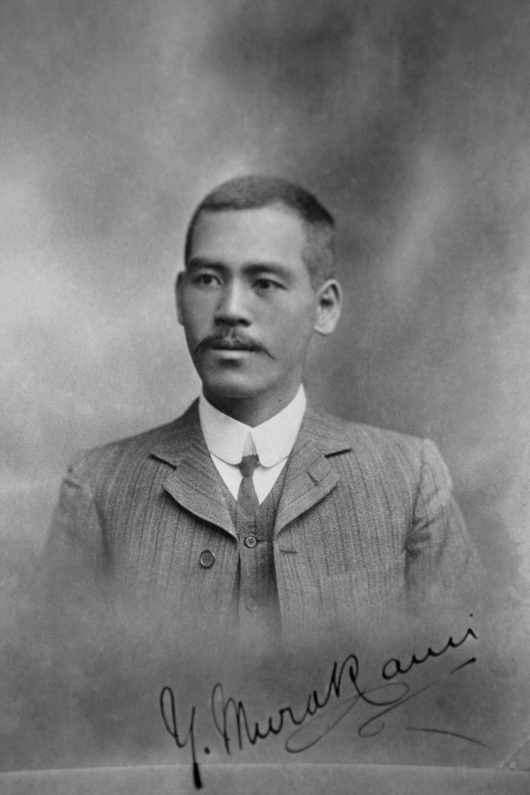 Yasukichi Murakami arrived in Australia from Japan in 1897 and became a photographer, entrepreneur and inventor in Broome, Western Australia. After moving to Darwin in 1934 with his Australian-born wife and nine children, he opened a photographic portrait studio in the Stone Houses on Cavenagh Street. He lived the high life with Darwin’s elite, and photographed everyone and anything in town until the war. The day after the Japanese attack on Pearl Harbor, Murakami was arrested, suspected of being a spy, and his photographs impounded and subsequently lost. Murakami himself died whilst interned in Victoria. Photographer and contemporary performance maker Mayu Kanamori went in search of Yasukichi Murakami’s lost photographs, uncovering a fascinating story of unlikely friendships, thwarted ambition and unrequited love. As a Japanese-Australian photographer she made a profound personal connection, and in it recognised a way to address the national collective amnesia about the history of the Japanese in Australia. It forms the basis of her new work, a meditation on love, truth and – in a digital age where cameras proliferate – the nature of photography. Yasukichi Murakami: Through a Distant Lens is a multidisciplinary performance work, utilising photographic projections, video, narration, dramatic action, original music and soundscape. Actors embody the ghosts of Yasukichi Murakami, and the women who loved him. In short recorded interludes, Murakami’s descendants in Japan recall the kindness and brilliance of their ancestor, so poorly appreciated by his fellow Australians. Then of course, there are the photographs – some thought lost for all time – that come to life in a conversation between a photographer from the past, and one from the present. In the digital age, can photographs still be trusted as documents of truth as they once were? Has the meaning of photography itself changed forever? If photographs are moments frozen in time, then Yasukichi Murakami: Through a Distant Lens unlocks those moments with the warmth of memory, family, humour and truth. What begins as a search for the past, becomes a quest for immortality. Exhibition: Photographs of Yasukichi Murakami at Riverside Theatres. 'Yasukichi Murakami - Through a Distant Lens' by Mayu Kanamori at Riverside Theatres.